I'm kinda addicted to making yarn pom poms lately. This could be because I don't know how to do much else with yarn, but it is also because pom poms are so stinkin' cute. Pom pom banners are even cuter yet, so let's make one shall we. 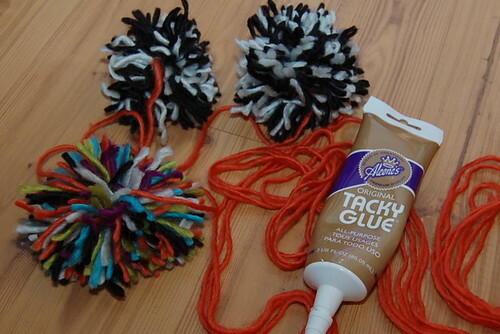 The first thing you need to do is make a ton of pom poms. There are about a bazillion ways to do that and even pom pom makers. I wrapped yarn around my four fingers. 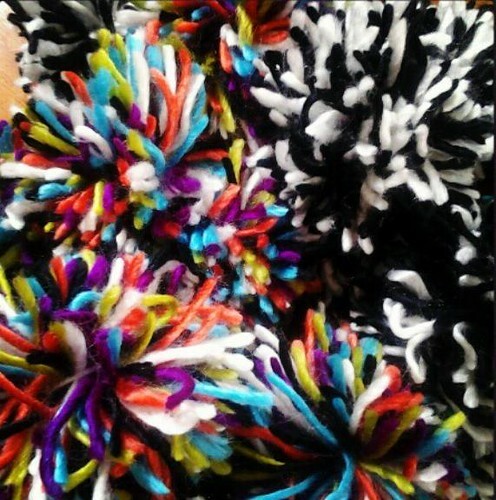 I made an even amount of black and white pom poms and green, teal, orange, black, purple and white pom poms. I measured the area where I wanted my banner to hang and then draped enough orange yarn to fit the space. 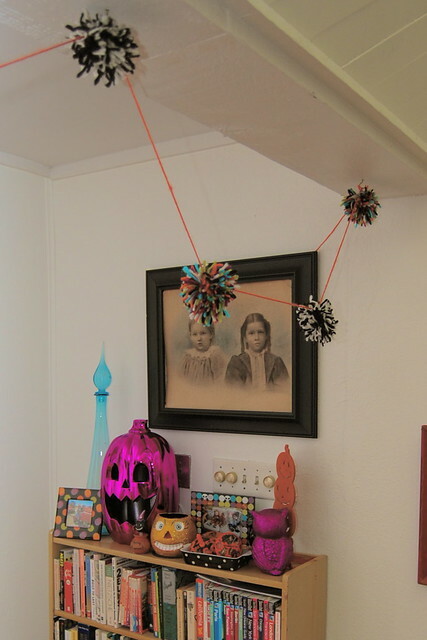 I divided the length of my yarn by the amount of pom poms I made and for my banner glued alternating pom poms every 17"s.
Once my glue was dry all that was left to do was hang my banner! 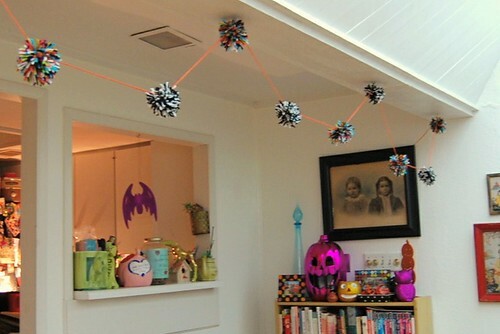 I love the way it looks and ties in all my favorite Halloween colors. 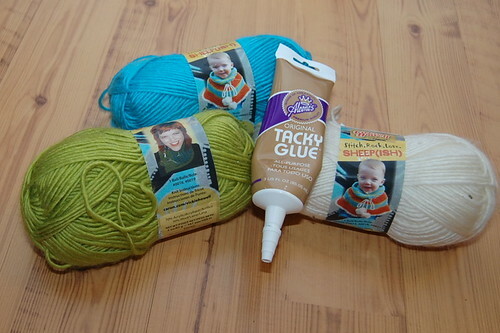 I'm thinking I might make more to put in Halloween party goodie bags for babies. I know my kids spent a good part of the afternoon tossing, stirring, sweeping and gathering my pom poms. Check out more Halloween themed posts here. You can find more I Love to Create tutorials here.